Deliveries of the fine 2010 Bordeaux vintage are pouring in, so to speak, and we’re eager for you to give them a try. This Saturday we’re opening two bottles, both second label wines from distinguished Châteaux. Second label Bordeaux have always offered incredible value, but as the selection process for the “Grand Vin”, or first wine, has gotten stricter, today the best “seconds” offer an even greater value than in the past. 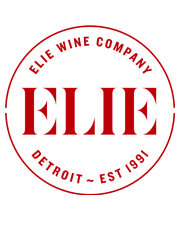 Robert Parker’s wine advocate gives the first wines of these two houses nearly perfect scores. The second label wines shouldn’t necessarily be thought of as lesser, just ready to drink earlier. From the soils of Pessac-Léognan on the left bank of the Garonne in Northern Graves. Château Smith Haut Lafitte’s history in Bordeaux dates back over 800 years. The estate started out life as part of the Du Boscq holdings and vines were first planted in the year 1365 on the gravelly Lafitte Plateau. Jumping ahead a few hundred years, George Smith bought the estate in 1720. Smith added his name to the property which we now know of as Chateau Smith Haut Lafitte. 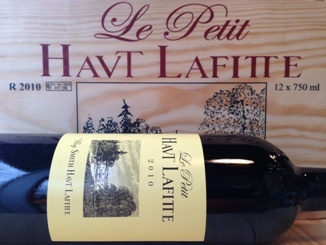 Le Petit Haut Lafitte is a blend of 55 % Cabernet Sauvignon and 45% Merlot. Maturation is carried out in barrels for 14 months. 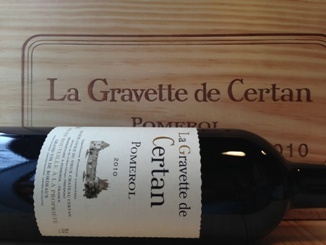 From the Pomerol plateau made up of clay and gravel soil overlooking the Dordogne River, and taking its name from a parcel of vines purchased in 1946, comes the second label wine from Vieux Château Certan. Proprietor Alexandre Thienpont believes his 2010 second label wine is better than many vintages of Vieux Château Certan produced in the 1970s. The blend is equal parts Merlot and Cabernet Franc. We can’t seem to find anyone that has tasted this wine with anything other than high praise for its structure and beauty.